Ultimate Bundles packages some of the best digital products together for a significantly reduced price. Digital products: e-books, online courses, and printable files are THE thing right now. People love digital products because you can make a purchase, and have instant access to a variety of tools and information to help you live a better life. 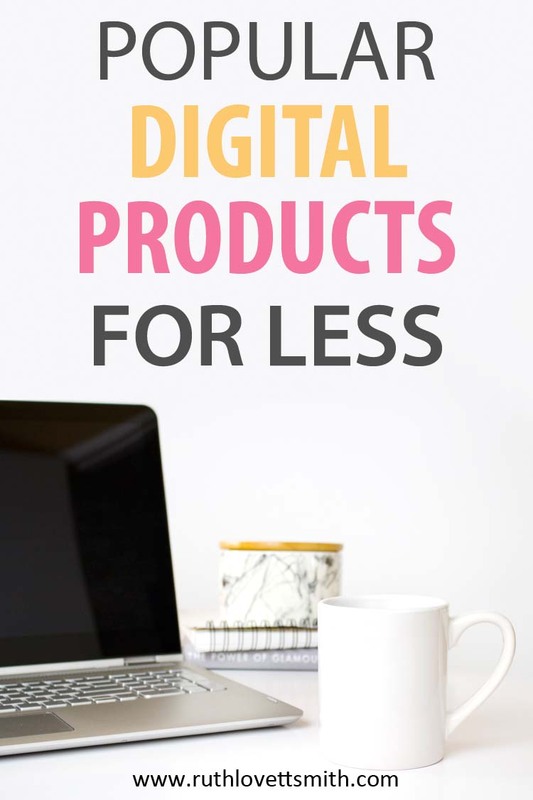 If you are currently in the market for a variety of digital products and digital collections, you’ll want to read this post. Ultimate Bundles offers numerous “bundles” of digital products, each year, for a limited time. These bundles cover a variety of topics and niches. From blogging, to working from home, to healthy living, to crafting and homemaking; Ultimate Bundles has it all. Here I offer Ultimate Bundles reviews, and information, to help you determine if these digital collections are right for you. What Are Digital Products & Digital Collections? First of all, digital products are products that are available digitally or electronically. Therefore, this means you can access them via the internet. Furthermore, most digital products can be downloaded. Books are e-books (electronic books), and most files and templates are printable files. Digital collections are simply a collection of numerous digital products bundled together. Why Buy Ultimate Bundles Digital Products? Ultimate Bundles sources some of the best digital products available. 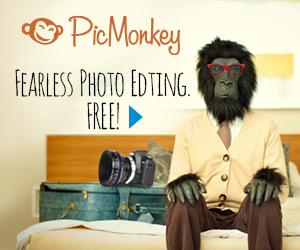 If you are a blogger, you’ll find digital products from top bloggers. 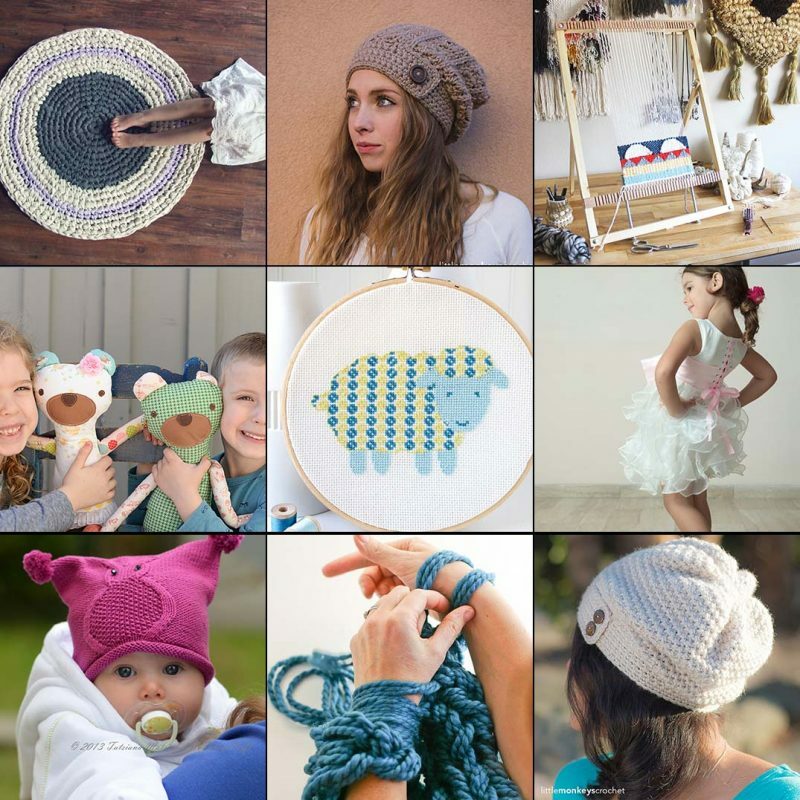 If you are a creative maker, you’ll find patterns from well known crafters, etc. Whatever bundle you choose, you can be sure that the products are created by some of the most talented individuals in their field. Plus by purchasing bundled digital collections, you benefit from a significantly reduced rate in product price. Ultimate Bundles offers numerous bundles throughout the course of the year. These bundles are only available for a limited time. Therefore if you are interested in a particular digital collection, you should act fast. Following is a list, and description, of upcoming bundles. 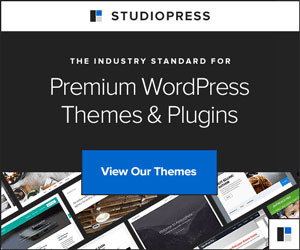 This bundle of digital products is every bloggers dream, and is my favorite bundle by far. Each year Ultimate Bundles puts out a Genius Blogger’s Toolkit full of amazing digital products for bloggers. Products range from beginner blogging, to e-mail marketing, to course creation, and so much more. You’ll get access to some membership sites, stock photography to use on your blog, and templates to help you build your blog and brand; the list is endless. 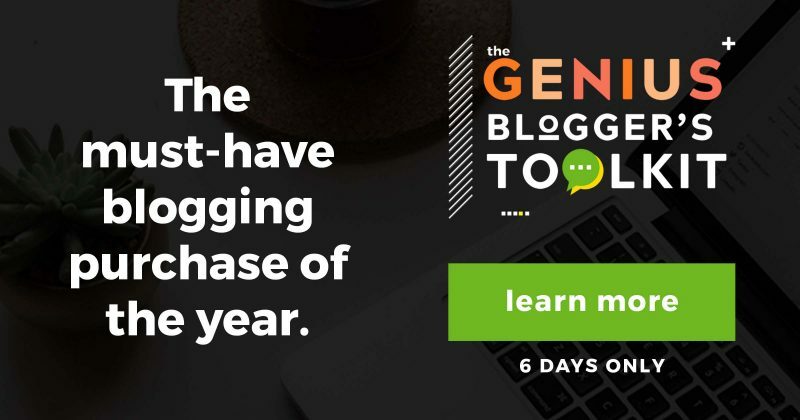 The Genius Blogger’s Toolkit will be on sale for a limited time March 4th and 5th, 2019. Sign up for my e-mail list and you’ll get a reminder when the sale goes live. This is a digital collection you do not want to miss. It includes 77 products, worth over $5,800, for only $97. You’ll get tips on: blogging, social media, branding, content creation, product creation, e-mail marketing, productivity, legal info, and more. 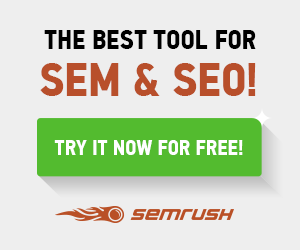 You can find more information by clicking on Blogger’s Toolkit. The Ultimate Making Bundle will be available during a flash sale on November 5-6, 2018. This bundle is perfect for all of you homemakers out there. This years bundle includes 129 products for $29.97. The products are valued at $3,687.47, which means this bundle is a great deal. More details will be released as we get closer to the sale date. The Handmade with Love Super Bundle is for those who love to make, craft, sew, quilt, crochet, knit, stitch, and create. It contains 21 e-books, 25 patterns, and 6 e-courses. This equals 200+ handcrafting projects, patterns, and courses. If you love to make your own gifts, this is the bundle to get. It’s perfect for the upcoming holiday season. The Handmade with Love Super Bundle is available through November 30, 2018. It includes 52 products, worth over $1,000, for only $47. That’s a 95% discount! You can find more information by clicking on Handmade Super Bundle. The Ultimate Healthy Living Bundle will be available during a flash sale on December 27-28, 2018, and will include the Herbs and Essential Oils Super Bundle listed below. If you are looking to start the New Year off right, you’ll want to pick up the Ultimate Healthy Living Bundle. More details to come soon. 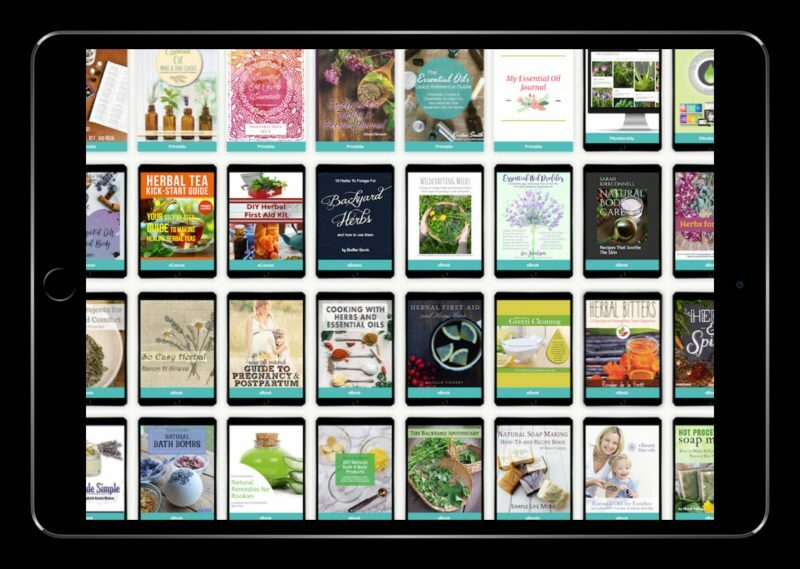 The Herbs and Essential Oils Super Bundle includes 34 complete e-courses, e-books, and printables to give you the skills and confidence to use herbs and essential oils for staying healthy. You’ll learn how to support your body in illness, how to clean your home in a non toxic way, beauty and relaxation tips, and so much more. The cold and flu season is upon us. Pick up this bundle to stay healthy this Winter season. The Herbs and Oils Super Bundle 2018 is available through May 31, 2019. This bundle is perfect for natural living individuals and bloggers. It includes 34 products, worth over $500, for only $47. You can find more information by clicking on Herbs + Oils Super Bundle. The Ultimate Healthy Meal Planning Bundle will be available on January 2-7, 2019. This is another great bundle to get to help you live a healthier life. More details to come soon. If you love Ultimate Bundles like I do, consider joining their affiliate program. They offer a very impressive rate of 40% of sales made. That rate increases to 70% for bundle contributors. You can also get a free copy of a bundle, after making 5 sales for that bundle. If you are a blogger, this is a great opportunity. However, you can also be an affiliate even if you aren’t a blogger. 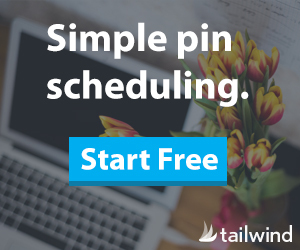 Simply share your affiliate links through your social media channels or with your friends. For more information, click on UB Affiliate Program. As you can probably tell, I absolutely LOVE Ultimate Bundles. I truly believe that their bundles are useful and a great value. I have purchased two separate bundles so far and have found them extremely helpful in growing my business and blog. In addition to the current bundles available, Ultimate Bundles also offers a variety of other digital collections throughout the year. Some past digital collections included photography, work at home, and more. You can find them listed on the bundles calendar on their website. This post will also be updated regularly, therefore you can bookmark this page and check back from time to time for bundle updates. I hope you found this Ultimate Bundles Reviews post helpful. If you did, please share it with your friends using the social sharing buttons below. Enjoy your bundles!